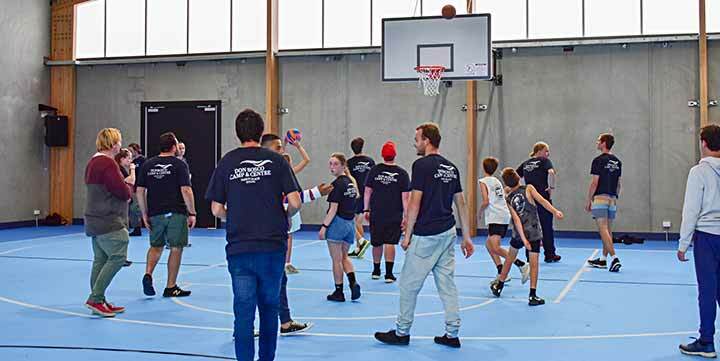 Years of planning and construction finally came to fruition on Sunday the 2nd of December 2018 as the Don Bosco Camp and Centre in Safety Beach, south of the city of Melbourne, on Port Philip Bay, celebrated the grand opening of its new buildings. 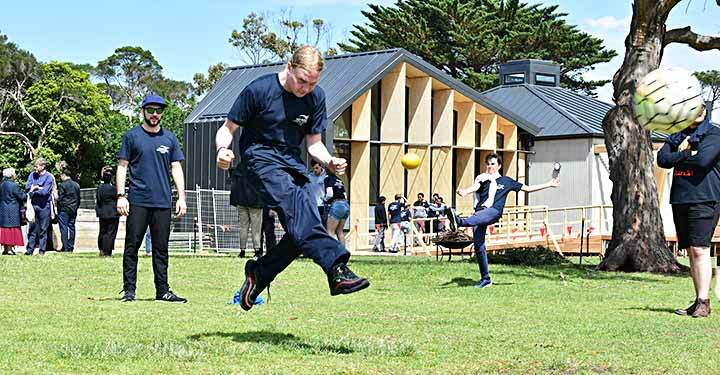 These new buildings will be instrumental in allowing the camp and centre to evolve its mission further; adding a range of new services to its repertoire, such as catering for a full school year level, or more niche interests such as band or sports camps. The Mass was a beautiful expression of thanksgiving; the acoustics of the new room greatly amplified the already stunning beauty that Bronwyn Dean and her extended band had brought into the mix. As the ceremony ended, Fr Will and Fr Bernie Graham (Chair of the Camp and Centre Board) both expressed their thanks to a range of stakeholders. 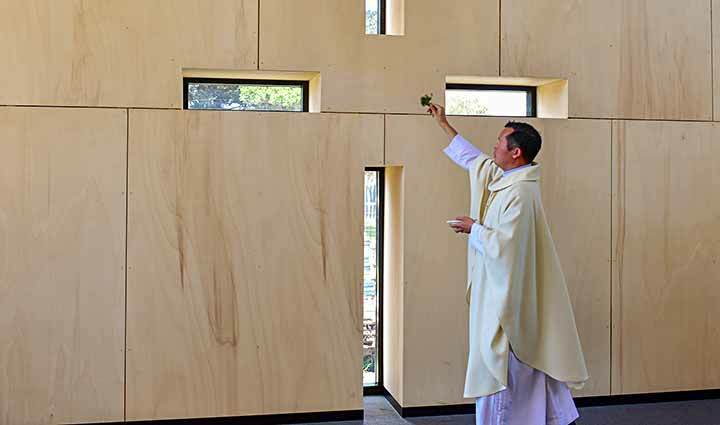 They then blessed the buildings, with branches that had been broken from a local tree. With the formalities completed, the festivities begun in earnest with lunch in the form of a barbeque feast put on by camp chef Suzie Burns, Assistant manager Dom Stephens, Ellen Hogbin and camp handyman Tom Steele. Unfortunately, the previous manager, Steph Wood, could not make it to the day, however her presence was certainly felt; she had put in a massive effort to begin, plan and oversee the beginning phases of construction. The day then took on the feel of a festival as live-music, games, jumping castles, arts and craft, face painting and dancing were on offer for all participants as they wished. These were run and organised by the camp’s Youth Leaders. Tours of the new buildings were available all day, showing off the spectacular new gymnasium, chapel, multi-purpose hall, conference room and offices. In true Don Bosco spirit, not even sudden rain could dampen the spirits, as the fun, joy and laughter echoed around the camp grounds.